Despite promising a “diverse range of opinions”, only one conservative news source, Fox, is mentioned as being part of the program. Other “trusted” sources included by Apple include far-left Vox.com, and the rabidly anti-Trump Washington Post. Politico and Axios are also included. The election-focused features are live on Apple devices now. 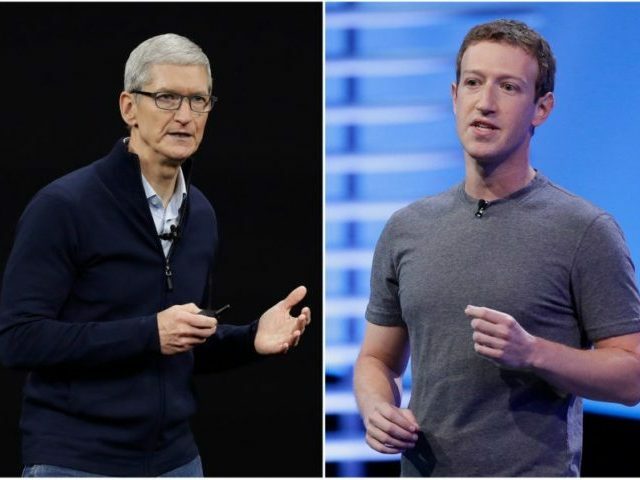 Apple’s plan mirrors that of Facebook, which recently announced it will partner with 80 undisclosed publications to produce exclusive news content ahead of the midterm elections. Caving in to pressure from corporate media, including Rupert Murdoch, Facebook said it would directly fund news programming, including shows from CNN’s Anderson Cooper and from far-left outlet Mic.com. As the masters of the universe give themselves even more power to decide what news their users consume, they face pushback from conservatives and the Trump movement. Trump’s 2020 campaign manager Brad Parscale, RNC chairwoman Ronna McDaniel, and House Majority leader Kevin McCarthy (R-CA) recently met with Mark Zuckerberg to discuss censorship of conservatives on the platform. This followed a letter from McDaniel and Parscale to Zuckerberg and Jack Dorsey, CEO of Twitter, urging them to address bias against conservative content on their platforms.